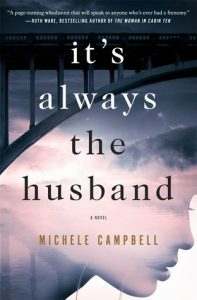 Michele Campbell’s It’s Always the Husband has a blurb on the cover that compares it to one of my favorite books of all time, Donna Tartt’s The Secret History, so that was one of the big excitement draws from me toward the book. I like campus stories, especially involving societies on campus and the terrible things that end up happening as a result of their collective behaviors because let’s face it, going to college and living on campus is one of the first times a lot of us experience living on our own without our parents to help guide the way. And a lot of the time, that innocence and lack of experience translates into some pretty catastrophic stuff. This is a hard one to review, because I think I expected too much by having that comparison given to me from the get-go, and usually I’m pretty good about being wary of such comparisons because very few things do actually compare. Anyway, it’s very obvious from the beginning that Campbell knows her stuff. She’s very familiar with the ins and outs of prestigious schools and established, wealthy families. 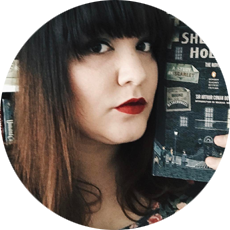 She’s done her research on twisted murder cases and the lengths people go for self-preservation. Campbell’s history as a federal prosecutor gives her that knowledge and makes this story seem entirely plausible. But. I didn’t really connect with any of the characters or feel sympathy for them. I thought the title was a bit of a misnomer, because it’s not always the husband (and if that’s the joke, I feel like it’s a little off the mark). It seems like this could have been two separate stories, or even a fully-developed college story, and then a sequel of what comes after. It’s odd because it felt both drawn out and really rushed, depending on what was going on. I either would have liked everything to have taken place on campus or have had a shorter flashback sequence with more focused on who the women became in the present.The writing is taut and sharp and kept me reading even though the plot was a little heavy-handed at times; but based on the advertising and blurbs and comparisons to Tartt, Flynn, and Ware, I was expecting a thriller, and instead I got a thrilling character-driven novel. Not a bad thing, but not what I was ultimately expecting or hoping for. A copy of this book was provided to me for review by Book Sparks and the publisher. All opinions are my own. 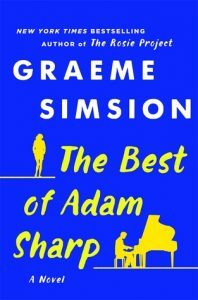 The Best of Adam Sharp is the latest by Graeme Simsion, the author of the highly-acclaimed The Rosie Project. The Best of Adam Sharp follows the life of a British man at fifty-something reminiscing about a relationship he had twenty years ago with Angelina Brown, an intelligent and beautiful actress. When the two had a chance to be something more than just a passionate fling, Sharp doesn’t take the chance and the two part ways. Twenty years after the two part ways, Adam receives a message from Angelina, and it causes him to wonder about the stability of everything in his life. As I was reading this, I kept thinking I am not the target audience for this book. I’m about twenty years too young to really relate to anything that’s going on in the story, except for the flashbacks to Adam and Angelina’s initial romance. 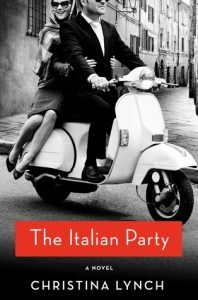 I think this would be a better read for someone who is a bit older than I am, someone who has had the chance to love and let go in this kind of way or for someone who is a little bit more of a romantic than I am. I also found it interesting that it played with the idea of polyamory and extra people in a relationship for a bit, and that’s the first time I’ve seen it in commercial fiction in a somewhat positive light. Then again, I don’t always gravitate toward commercial fiction with a romantic bent, so I might be completely off the mark in that! However, the writing made this a highly compulsive read, and I definitely wanted to see how everything played out for Adam and how it resolved itself. In the end, I felt that Adam got what he wanted and what he deserved as fairly as the universe could possibly present it to him. It’s never easy coming to terms with a lost love and the chance and failure of reconciliation, but sometimes it’s the journey that really matters. I received this book from Book Sparks and the publisher for review! All opinions are my own. I’d heard a lot about this book from various people, publications, and my old job at the bookstore. It kept showing up everywhere, so I finally decided to reserve it at the library and give it a go. We usually hear about the stories of men in wars, a man’s heroic actions, and a man’s role in the war, but we hardly hear of what women went through during any war. Not in popular commercial fiction, anyway. I’ll be the first to admit that I was hesitant on picking it up because Hannah’s other works aren’t titles of interest to me, but I’m all about expanding my horizons this year. I’m glad I did for this one. 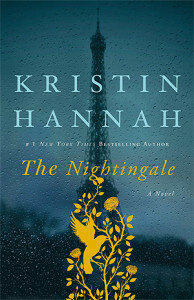 In The Nightingale, Hannah explores the relationship between two French sisters during World War II. It started out slow, a bit cliche at times, but by the time I got through a third of the book, I couldn’t put it down. I read straight on from about eight-thirty in the morning to noon. I wanted to read more of Isabelle’s story, and I can certainly see from this interview why Hannah wrote about a young woman leading hundreds of soldiers to freedom. I don’t recall reading anything even remotely similar to that in my history books, nor are the actions of women often spoken about in reference to the war. The Nightingale shows two women fighting their own battles during the war in their own ways, sometimes through being outspoken and daring, and sometimes through hardship and resilience. Even though the story seemed too tidy and too happily-ever-after in its resolution, I really enjoyed reading it, and it makes me want to read more about the women who played such pivotal roles in World War II.